Jellybean Concept Events is a highly creative event consultancy that takes the traditional corporate approach to events and puts it in the naughty corner, offering instead an inspired, fresh and inventive take on event marketing. The Website Engineer was tasked to be just as inventive and colourful in their design of Jellybean’s new website, so we got to work with fresh colours, creative layouts and a dynamic user experience that guides the user and encourages them to read more about the service that intrigues them the most. 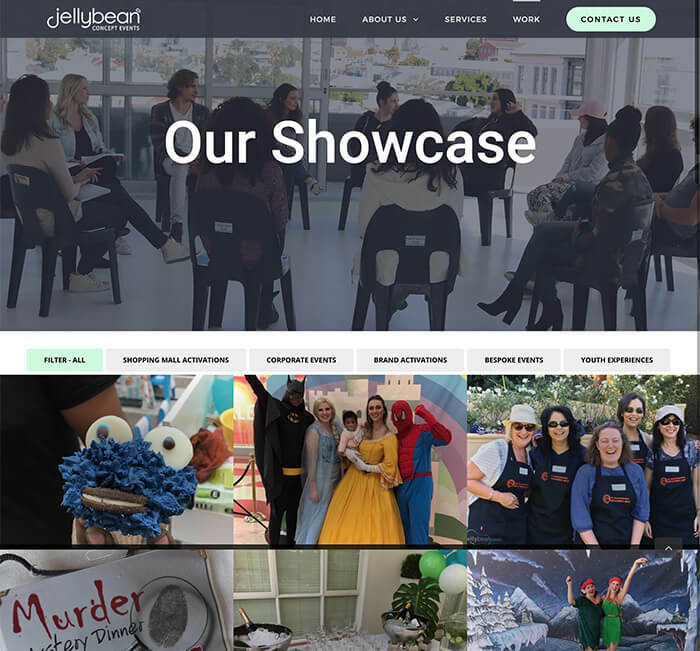 Event marketing is all about being in the moment, which makes it important for a company like Jellybean to showcase their work on their website as quickly as possible after an event. The Website Engineer made sure their website manager can do this quickly and easily by developing a system to implement new work and changes within hours of receiving a request to do so. The work they have done is then displayed in a beautiful grid that dynamically grows as new work is added. It’s just one of the things that makes The Website Engineer’s platform both time-saving and cost-saving for our clients. 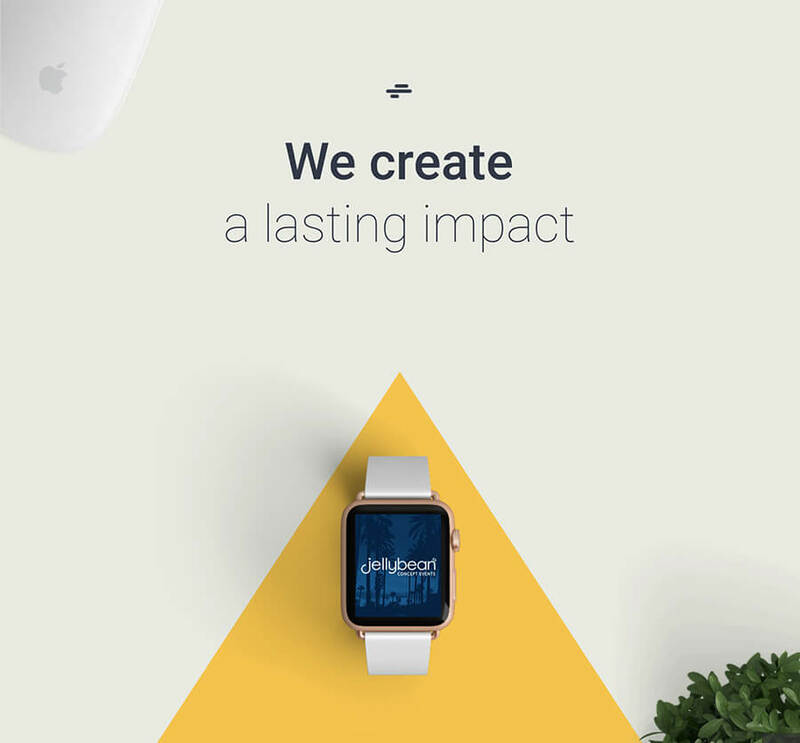 In the development of a website, there’s usually a trade-off between performance and design. 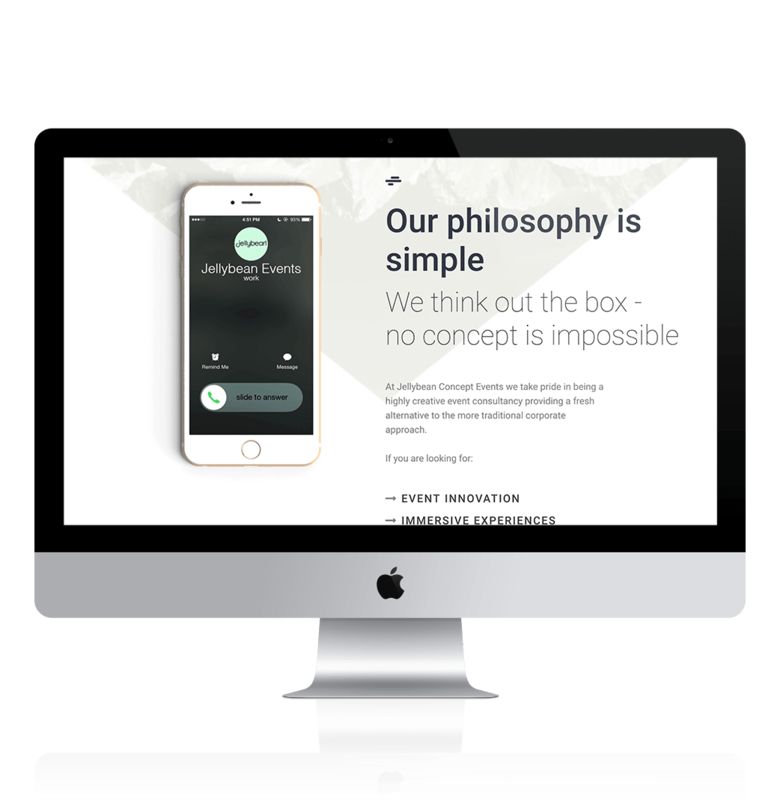 With The Website Engineer, we’ve worked hard to eliminate that trade-off entirely, with the goal of creating a beautiful website that doesn’t sacrifice speed or performance when it comes to page load times, optimisation, and server load. 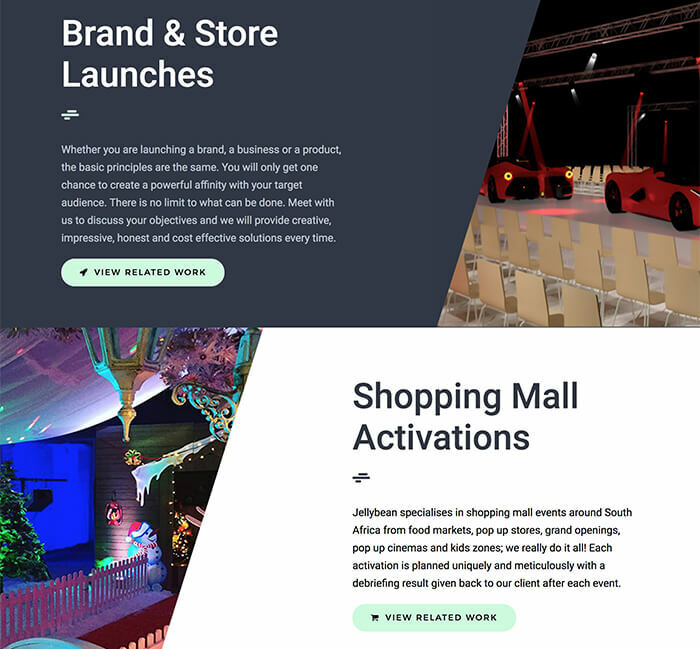 We took care of all these critical components of Jellybean Concept Event’s website, while taking their new website from zero to beautiful (and fully functional) in just 30 days.